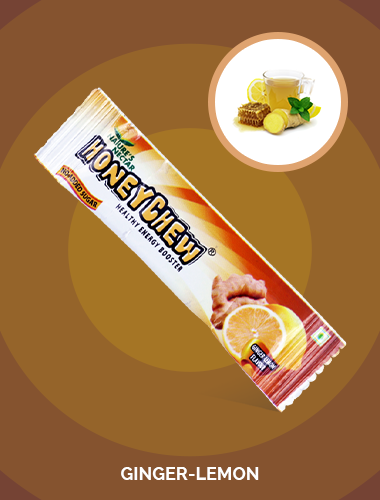 Renounce sugar-coated unhealthy snacks, Reclaim your health and energy, and Refresh with HoneyChew, your chewy and delicious Honey Snack. 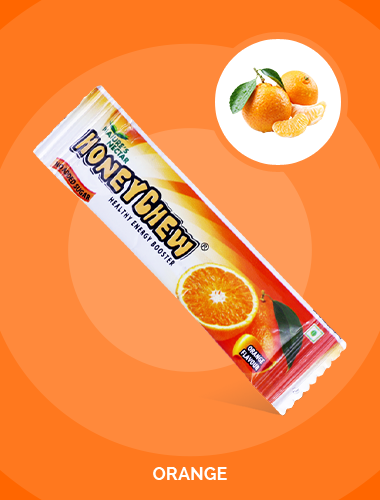 HoneyChew, a smarter way to snack healthy, anytime, anywhere. 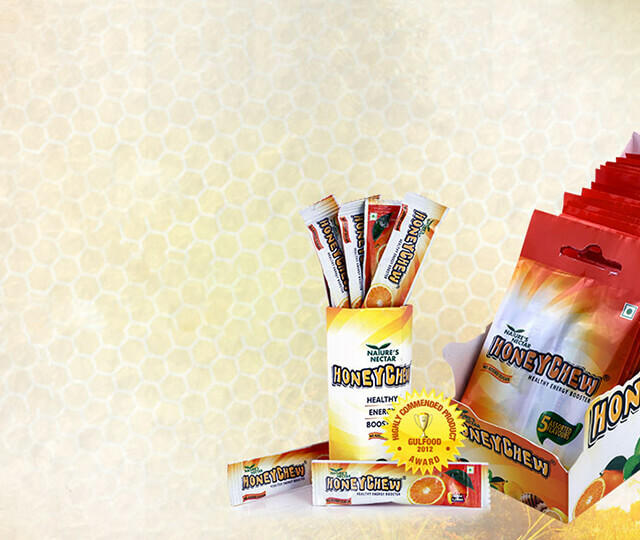 Is there a way to calm your sugar cravings without feeling guilty? 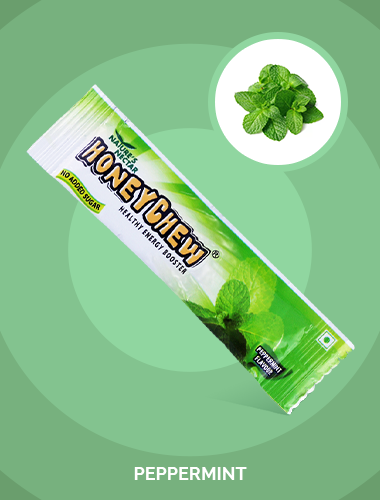 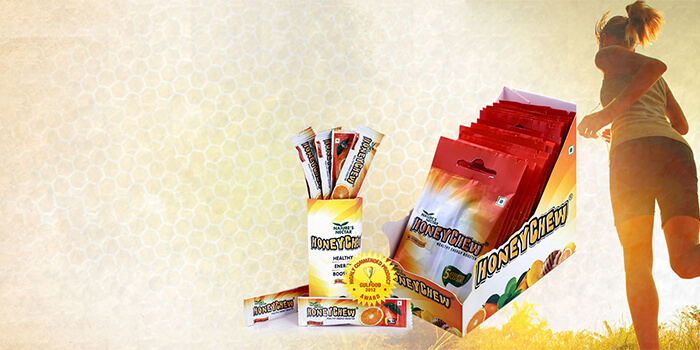 HoneyChew is a luscious concentrated Honey which is compact and easy to carry, Low in Calories, Fat Free, Cholesterol Free, Highly Nourishing and tastes awesome. 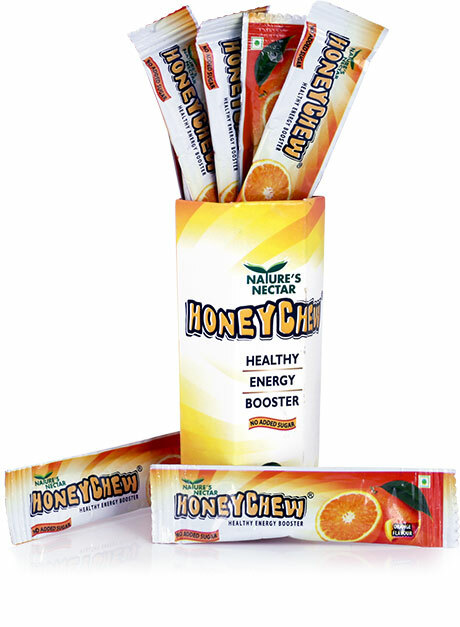 Available in 5 different delectable flavours. 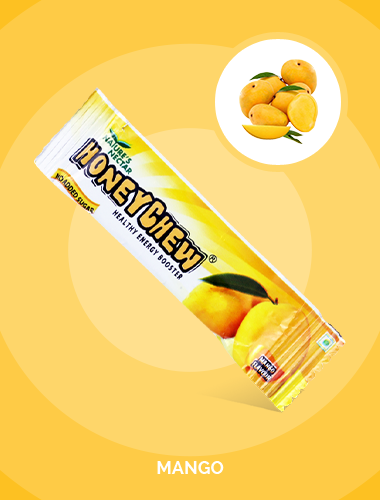 At HoneyChew, we’re on a mission to make snacking an extremely fulfilling, appetizing and guilt-free, experience for you. 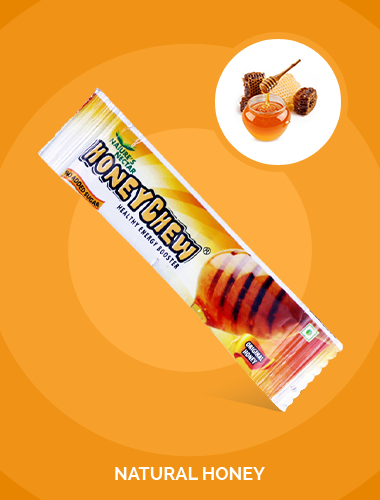 So the next time hunger strikes, you can just tear the nutritious chewy Honey Snack and ENJOY The GOODNESS.